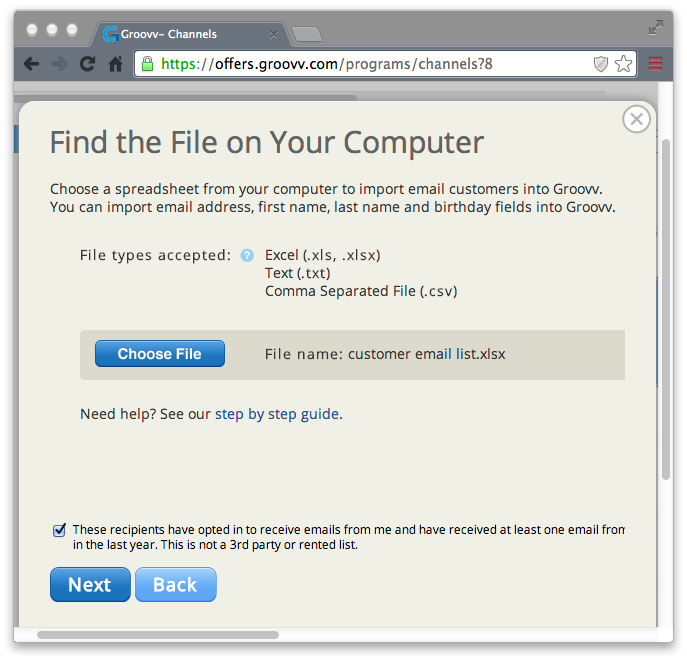 How do I import my existing email list? 1. Click on the Channels tab. 2. If you haven’t set up email yet, click the + Set Up Email button next to Email. If you already have, skip to Step 4. 3. Verify your reply-to email address is correct, enter your business address, and click the Save button. 4. Back on the Channels list, click the blue Import link next to Edit Settings in the Email section. B) by uploading a spreadsheet file from your computer. Assuming you have a spreadsheet file, click the Upload a File button. 6. 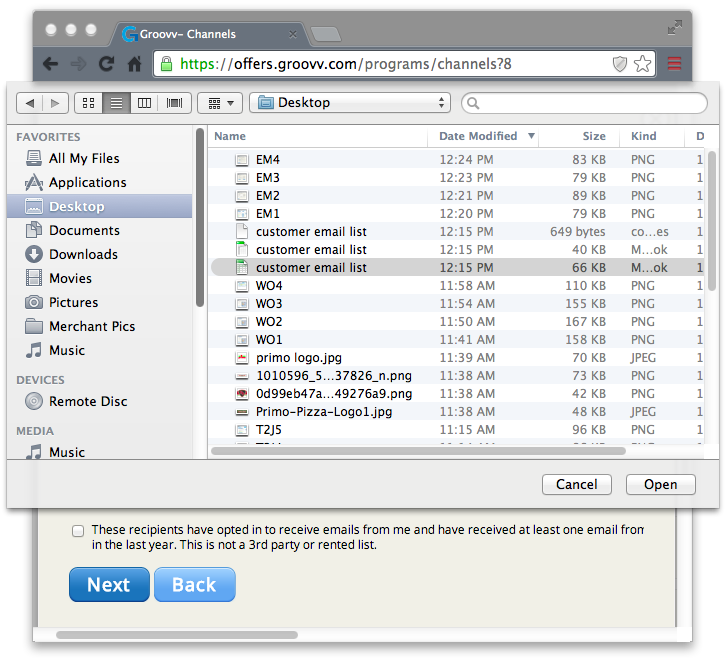 Click the Choose File button and locate the spreadsheet file on your computer. 7. Before continuing, check the small box above the Next and Back buttons to verify that all the email recipients on your list have opted in to receive emails from you, and that they’ve received at least one email from you in the last year. Then, click the Next button. 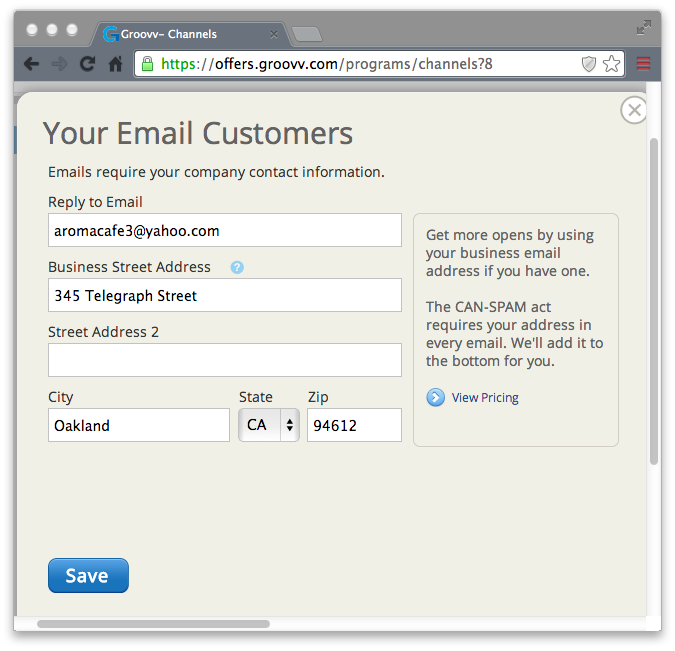 Note: If any customers on your list do not meet these criteria, you'll need to delete them from your list beforehand to meet email marketing guidelines set out by the CAN-SPAM Act. 8. As an optional step, you may create a new email group to segment your list and assign this list to a group. 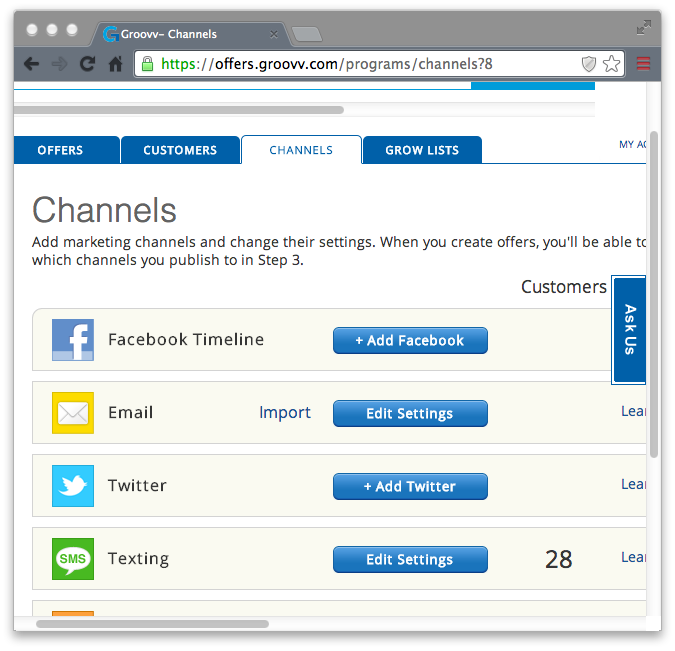 Groups allow you to send targeted emails to a smaller subset of all your Active Email Customers. 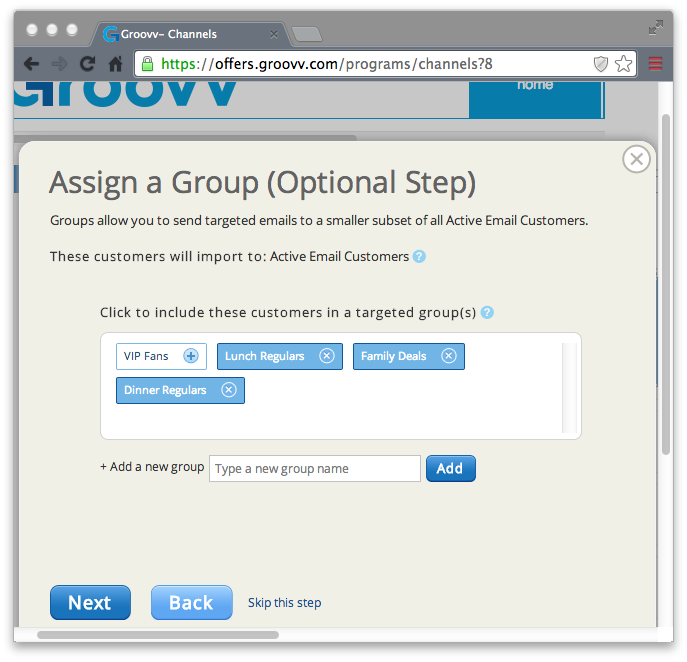 If you do not want to assign a group, click Skip this step to continue. To assign a group, select an existing group or type a new group name and click Add to create one. When finished, click the Next button. 9. 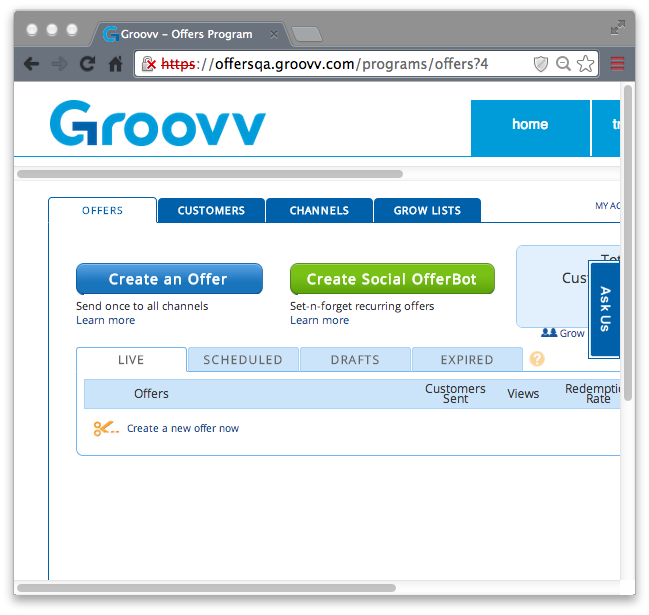 Groovv Offers can import up to 4 different fields: Email Address, First Name, Last Name and Birthday. 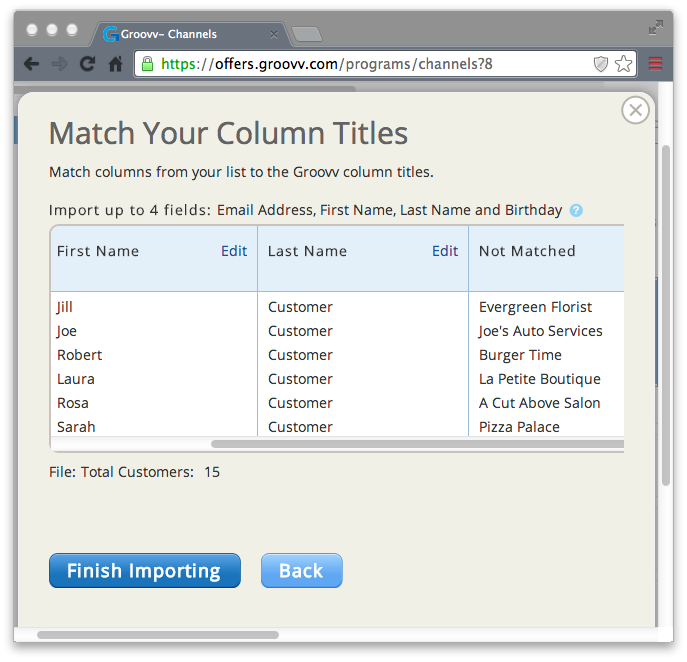 Match columns from your list with the Groovv Offers columns, clicking Edit to make any necessary changes. 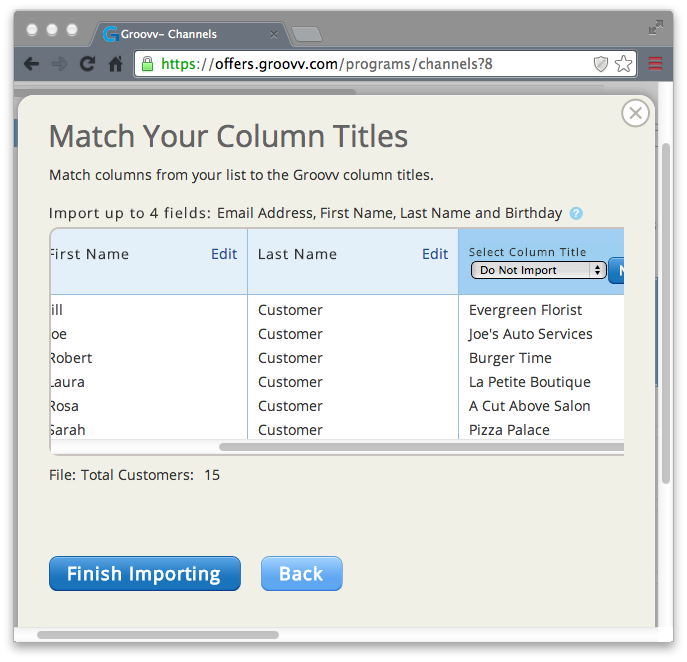 If your list appears "dirty" or has column names or categories other than those listed above, Groovv Offers will not recognize these columns. An unrecognized column will appear as Not Matched like in the screenshot below. 10. In order to finish importing, we have to instruct the Email Import Wizard to exclude any Not Matched columns and make sure all columns are correctly labeled. (Remember, you can only import First Name, Last Name, Email Address, and Birthday columns). To do this, click the Edit link to the right of the Not Matched column and click on the drop-down menu that appears. Scroll down the list and select either Do Not Import or the appropriate column name. Then, hit Next and keep scrolling right until you've correctly matched all 4 columns. When finished, click the Finish Importing button. 11. The total number of new Email Customers successfully imported will be shown, with any duplicate email addresses in your list removed automatically. We also clean up your list for you so only valid email addresses are added to your Active Email Customers list. Click the Done button, and you’re finished importing! 12. 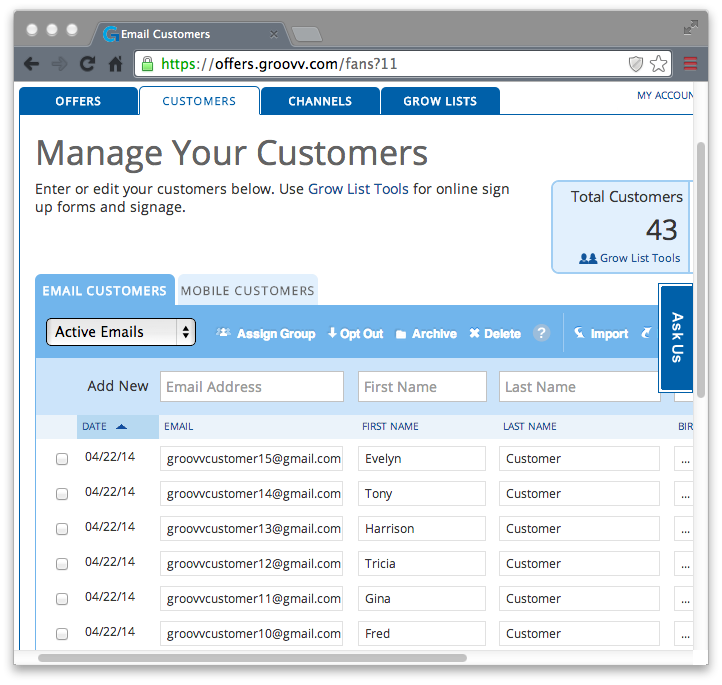 View your new Email Customers by clicking the Customers tab. 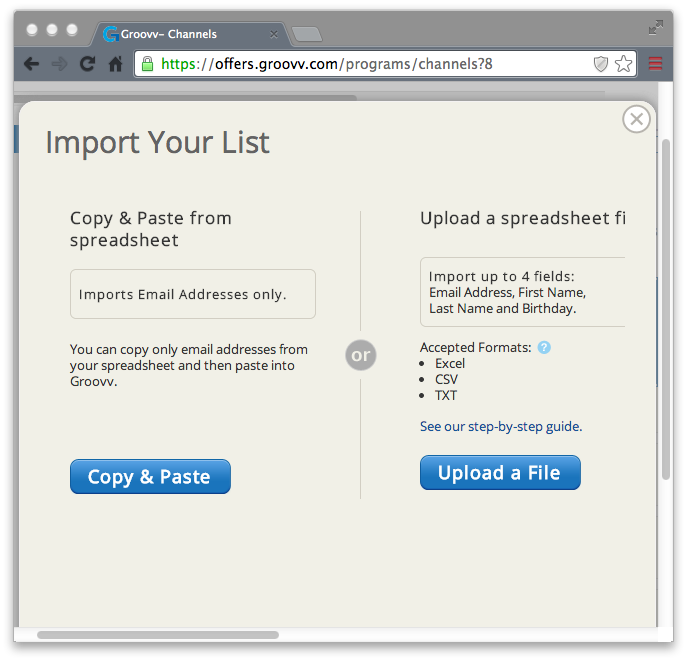 In this section you can search, sort, assign groups, opt out, delete, or export your list. 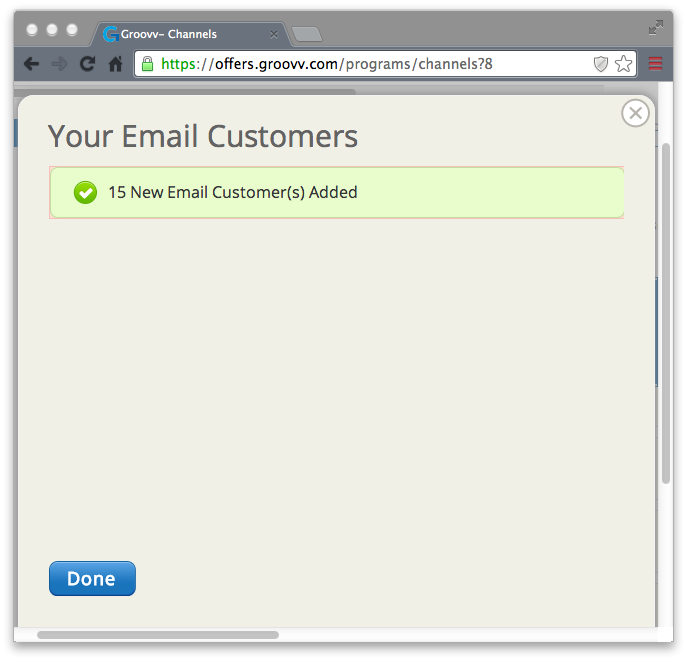 For faster and more reliable delivery, add support@groovv.com to your trusted senders list in your email software.